Australian National Institute for Theoretical Astrophysics (ANITA), a virtual institute which aims to raise the profile of Australian theoretical astrophysics. Early Career Researchers (ECR), aiming to support the needs and development of Early Career Researchers in the Australian astronomy community. Education and Public Outreach Chapter (EPOC), serving to advance the level of public awareness of the excitement of astronomy. Inclusion, Diversity, Equity in Astronomy (IDEA) (formerly 'Women in Astronomy'), to monitor and promote the status of women working in astronomy in Australia and address broader diversity issues in our community. NB - You can select which Chapters you wish to be a member of from within Your Profile, there is no additional cost for joining any of the above Chapters. 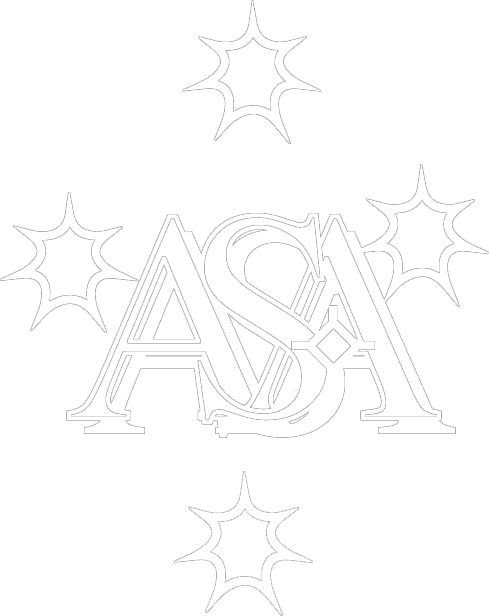 Additions or corrections to the ASA Secretary.